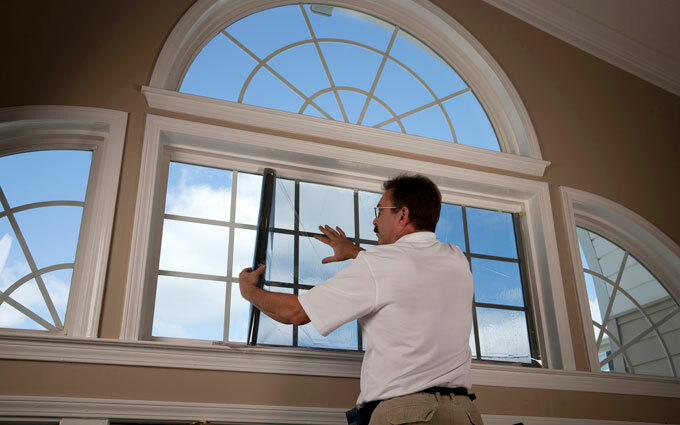 Installing window films can be done by homeowners, although it is very fussy work. An array of surface-applied films are designed for a variety of jobs: privacy, solar heat rejection, and even winter energy performance. Image Credit: Solutia Performance Films Exterior shades come in a huge variety of colors and styles. They very effectively reduce glare and unwanted solar heat gain; some products will still allow a filtered view through the window. Good ways to modify windows to prevent too much solar gain in the summer. That may be true, but a lot of us are turning away from the sun this time of year. For buildings with windows — which is most of them — retreating inside gets you out of the shade, but it can be hotter and stuffier. Cranking the AC only drives up the power bill. 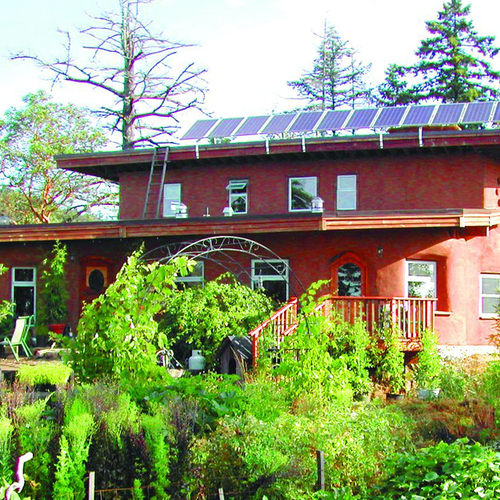 We use windows to give us views, fresh air, and passive solar heating in the winter, but are there good ways to modify them to prevent too much solar gain in the summer? Yes, and new research from BuildingGreen (my company) and Lawrence Berkeley National Lab (LBNL) tells us which “window attachments” are worth using. Curtains and drapes, the old standby, work pretty well: when installed over clear (uncoated) glass, these attachments alone can block 20%–60% of solar gain (depending on material and color), reducing or preventing the need for air conditioning. For comparison, the highest-performing low-solar-gain windows on the market have an SHGC of 0.20 or lower. 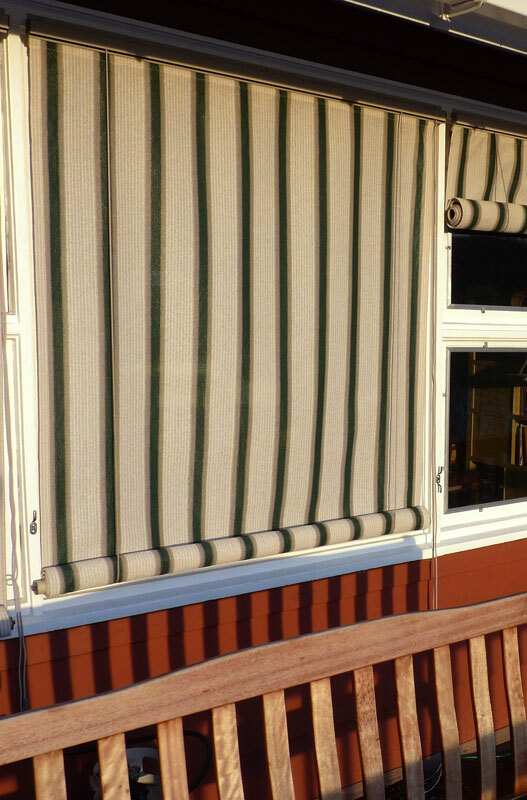 While that means that those windows block 80% of solar gain while still permitting a somewhat darkened view, they don’t provide much privacy, so many people will still use curtains or blinds. Awnings reduce glare without affecting views too much, and they block up to 90% of solar heat gain on south-facing windows — before the heat can come through the window. Awnings also block direct ultraviolet (UV) radiation that can damage upholstery, and they protect the window assembly from the weather. 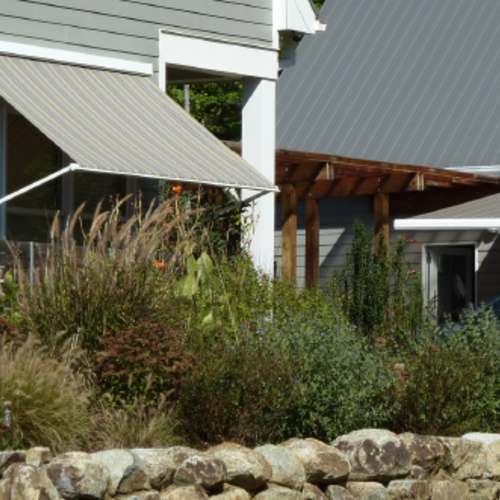 Stationary metal awnings are available for homes, but be aware that a fixed exterior attachment works best if orientation, climate, and other factors are taken into account using computer modeling — a service used routinely for commercial buildings but almost never for homes. Like awnings, exterior roller shades, made of vinyl-coated polyester or fiberglass fabric, block solar heat gain while still allowing a filtered view through the window from the inside. 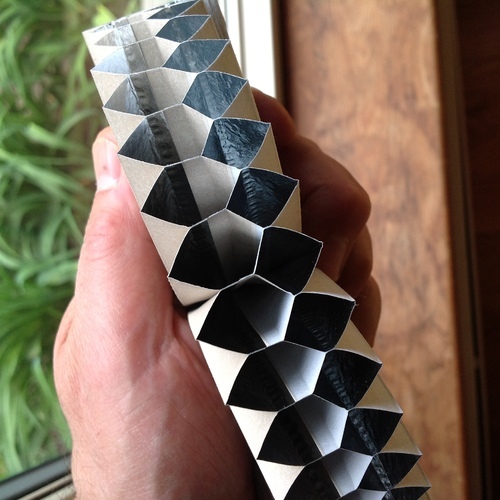 These work much the same way that interior shades do — rolling down in front of the window — but go on the outside of the house. One such new-fangled device is an exterior roller shutter. Roller shutters are a multipurpose attachment with hollow or insulated slats that fold neatly when not in use but put the home in thermal, visual, storm, and security lockdown when deployed. Is there anything exterior roller shutters don’t do? Unfortunately, yes: the aesthetics leave much to be desired, from most homeowners’ point of view. They look fairly industrial from the outside and completely block light and views from within. Though popular in some European countries, exterior roller shutters have only caught on in North America in hurricane and wildfire zones. However, they can be a good solution in extreme climates where air-conditioning loads are very high and shading doesn’t go far enough — particularly if home security is also a high priority. If you have windows that are in pretty good shape but don’t have a low-e coating, or if you have a great view that you don’t want to mar with blinds or awnings, you might consider a solar-control window film. 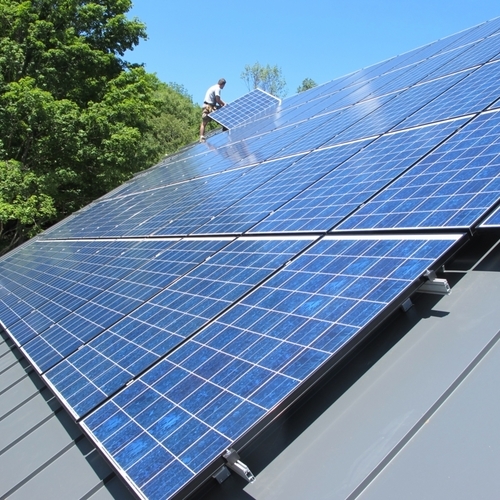 Surface-applied films are rated for solar heat gain and visible transmittance, and NFRC publishes an online list of certified products, making it easier for consumers to make choices. EfficientWindows.org also provides helpful guidance on the wide variety of films available. Costs of window attachments vary hugely. Drapes and curtains, and roller shades, are an affordable option. Surface-applied films are relatively affordable, and then awnings and other fixed attachments can get more expensive — but also deliver a lot of benefits. Check WindowAttachments.org for some great fact sheets. Also, check out Making Windows Work Better, by Paula Melton and Peter Yost, the recent feature article from Environmental Building News, from where I borrowed some of today’s advice. Peter also shares how he worked through window attachment options for his home in a recent blog post. Do you have windows that aren’t quite working for you, but you aren’t quite sure how to handle them? Other questions or comments? Let me know. Tristan Roberts is Editorial Director at BuildingGreen, Inc., in Brattleboro, Vermont, which publishes information on green building solutions. BuildingGreen’s website LEEDuser aids project teams working toward LEED certification. Jim, I agree... one could also talk about placement and sizing of windows, and window specifications. The topic I was going after here was simply focused on "window attachments" as distinct from building design or built-in features. In terms of marginal rate of utility, seems like curtains are the way to go. Buy them vintage - even better for the environment and the pocketbook. Window Film doesn't work very well because the glass itself will still heat up. Fixed overhangs work well but are a compromise since you need heat in March, but not in October. I'm surprised the blog did not include designing built-in overhangs or using the roof to shade the windows during the summer. 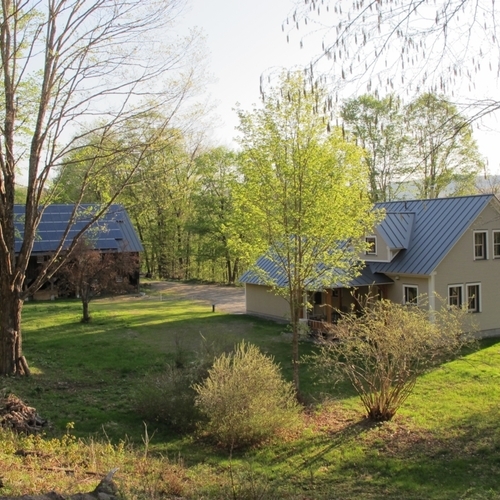 If properly designed, these overhangs would allow solar gain during the heating months. Thanks for addressing this topic. I have made my living in the window film business for the last 37 years and I have lots of very happy customers. It was disappointing to read a comment here that window film doesn't work very well because the glass heats up. Absorption of energy is one part of window films' function and, yes, the glass feels warmer to the touch but the net unwanted heat into the room is reduced since most of the absorbed heat is radiated to the outdoors. I've seen many roller shutters on European windows that have slits in them that let light through, at least enough to know that it's light out and get up and open them if you choose; or to know it's no longer receiving direct sun so you can open without the solar gain penalty...maybe these aren't as protective for hurricanes or wildfires, however, so it's a trade-off...but wanted to make a little argument in their favor. If the heat reaches the interior pane of glass, it's inside. "the net unwanted heat into the room is reduced since most of the absorbed heat is radiated to the outdoors"
This is only half right. 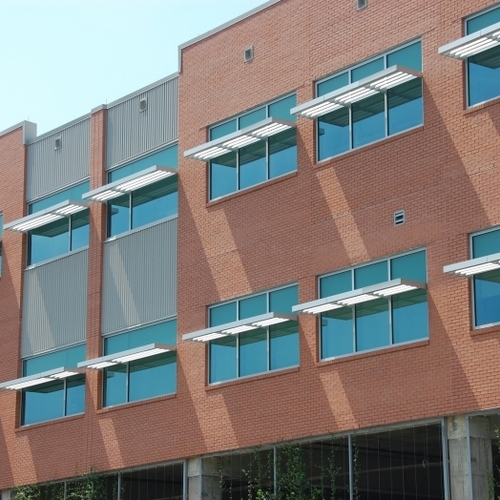 Yes, window films are effective at reducing solar heat gain because they reflect some heat and light back outside. 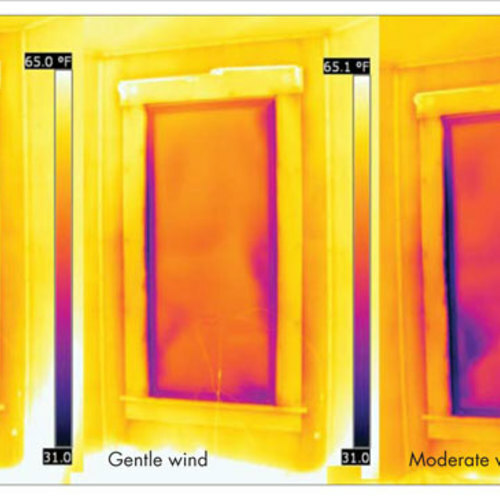 No, if the interior glass heats up, most of that heat will stay inside the house because the exterior pane of a double glazed sash will block the heat from going back outside. Think about how hot a shiny car bumper will get in the sun. Reflective things do get hot! 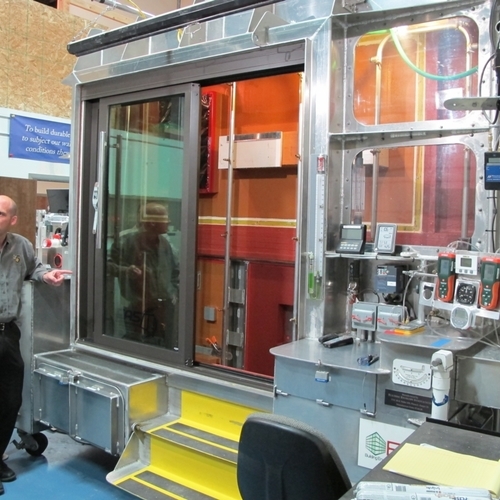 Quoting from the FSEC website: "The problem is that the film heats up a lot and, when applied to a single pane of glass or the inner pane of a double pane window, most of their heat is conducted, radiated, and convected to the interior of the building, making the room hotter than it should be. This defeats the purpose of the film, to reduce solar heat gain, because much of the incident solar heat still enters the room. Less light is admitted as well." However, films are now getting much better at reflecting more and absorbing less, so their overall effectiveness is improving. I've got some west-facing 2nd-story windows that need awnings that are easy to install/remove seasonally from a ladder, handle 90 mph wind, and can be installed over vinyl siding. An additional problem is that no blocking is in the walls for the hardware, but there is 1/2" OSB behind the vinyl. There is only 4" clearance between the tops of the windows and the soffit. Any ideas?